Freefly Systems redesigned the original MoVI from the ground up, with a slew of welcomed features. The new MoVI Pro is designed to be more user friendly and easier to set up. At its core, MoVI Pro utilizes two hot-swappable batteries to power the gimbal AND the camera rig. 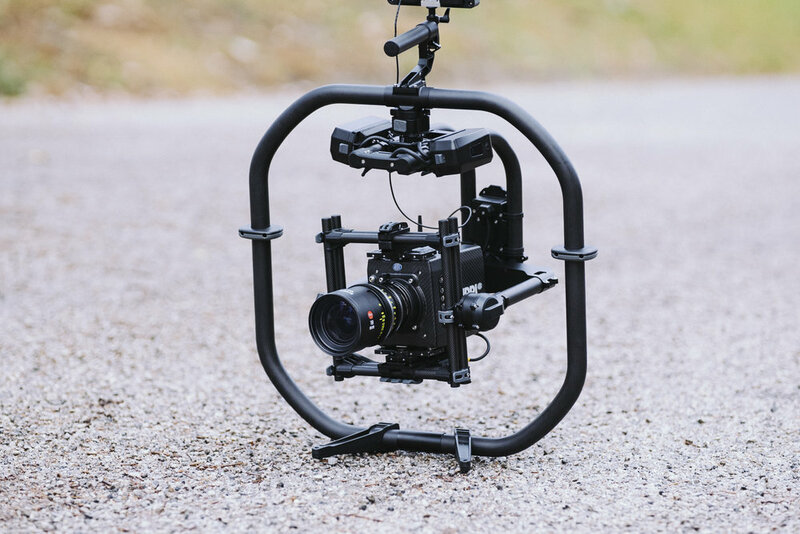 For the larger camera and lens combos, Freefly employed new, lightweight, direct-drive brushless motors that provide twice the pan torque of first generation MoVI’s to accommodate demanding camera movement scenarios. Our kit includes three different handle options: Classic handle, low-profile handle, and the Ring Pro. The Ring Pro has a built in stand for balancing or for setting down on the ground between shots. Click here for pricing and more info.